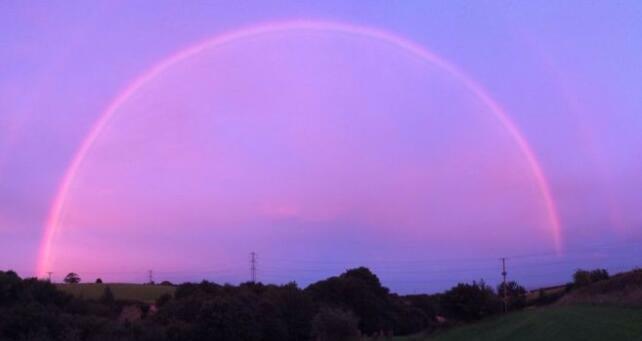 A rare "pink rainbow" was spotted in the west of England on Monday evening. 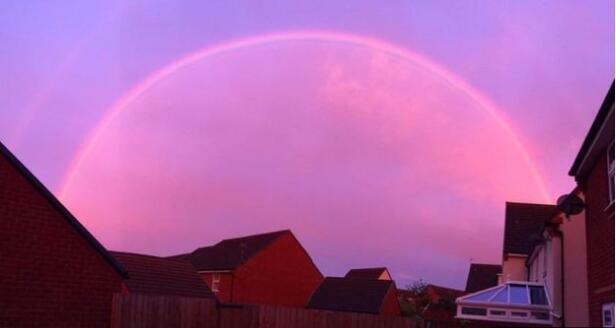 The phenomenon, seen in Bristol, Taunton and Yate, has been described as an "optical illusion" by experts. People who photographed it described it as "amazing" and "pretty" . 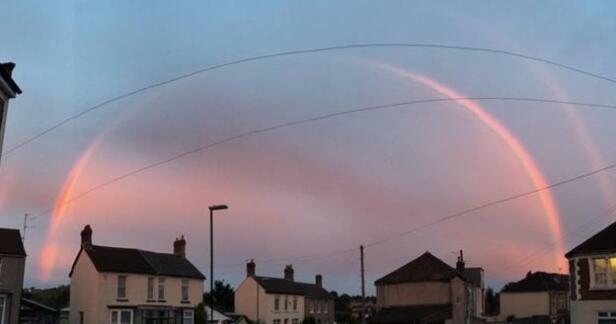 Simon King said there was no specific name for the phenomenon, which was caused by a regular rainbow and a pink sunset happening at the same time. 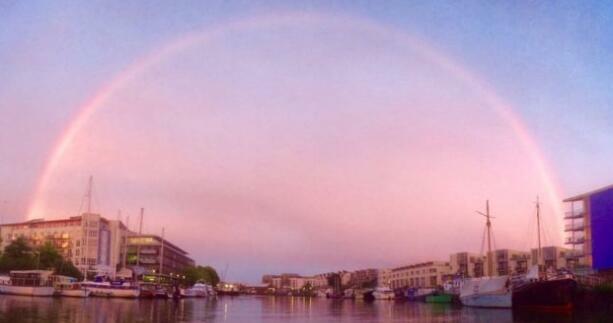 "We've got a regular rainbow, which is caused by water droplets in the atmosphere reflecting the sunlight into the spectrum of different colours," he said. 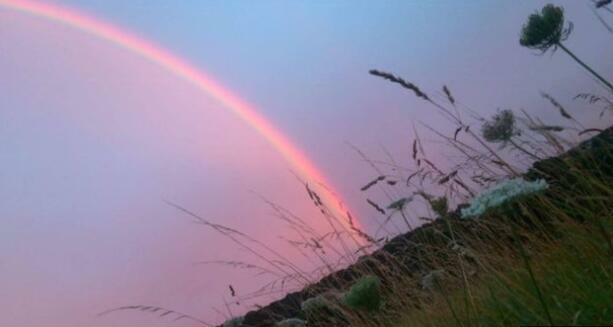 "The other thing is a pinkish sunset caused by sunlight having to pass through a lot more atmosphere - due to the low sun angle late in the day - hence the shortwave colours - violets, blues, greens - are diminished and we only see the pinks and reds, giving the rainbow a pinkish colour."